I can think of few things I like more than books, but people who come up with new, creative and interesting ideas for books might rank up there. And Gary Vaynerchuk, host of WineLibrary TV, has done just that. With the Daily Beast, he will now be releasing a weekly wine & book pairing - and really, what more could you ask for? His first article is here on the Book Beast. I'm on vacation this week, pairing Beautiful Swimmers with Sam Adams Summer Ale. Maybe not as fancy as Gary's suggestions, but fun nonetheless. Last week, I posted about the success of Julie and Julia and Mastering the Art of French Cooking following the release of the movie. The cookbook was vying with The Time Traveler's Wife for the number one Amazon spot, which, not so coincidentally, was also released as a movie just recently. The success of these books only following their tie-in movies is a bit depressing to book snobs such as myself, but I tried to find the happy note by focusing on the fact that at least people were reading, and books were selling. Now, with a new edition of Charlotte Bronte's (sorry, don't know how to make the little dots here) Wuthering Heights released as a tie-in to the Twilight books, the question is raised again: does it matter what motivates readers, so long as they are reading? Read the full Guardian article on this; the author has some good insights. Book trailers seem to be the new hit thing for book promotions, and while I don't dislike them (I even went so far as to put the Sense and Sensibility and Sea Monsters preview in a blog post), I must admit, I also don't quite get them. I recently stumbled into a link to Libba Bray's book trailer for Going Bovine, however, reviewed here, and she seems to have struck on something more than the traditional dramatization/read-the-back-cover-blurb book trailer. Seriously. Libba Bray. Dressed as a cow. Wandering Random House offices and the streets of New York. You don't want to miss it. The video isn't available anywhere that I can seem to embed it, but it is on Entertainment Weekly's Shelf Talker here. Hath virgin'd it e'er since. I recently finished two very different and yet strikingly similar books - Ian McEwan's Atonement, which I was hesitant to open despite all of the praise and suggestions heaped on it, and Libba Bray's Going Bovine, a galley of which I picked up at Random House's booth at BEA. While one is the story of the repercussions of one seemingly small act and the world of World War II Britain, and the other the tale of a struggling teenager with hallucinations and a deadly disease, both address the fundamental question of life and reading: What is real, and what is not, and what does it matter? Most of you probably know the basic story of Atonement, whether it be from the book or the movie. I'm pretty much the last person in the world to read this one, I think, but I must say, it's not at all what I expected. 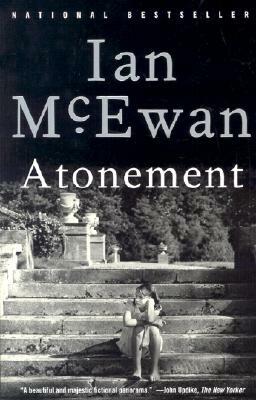 In Atonement, McEwan turns his graceful prose to one event in one family's history, retelling it carefully from each perspective involved. There are events, there is a lie, there is a coverup, a trial, jail time, a war, a wedding, an apology, an atonement - or is there? That there is a crucial event we are sure of. That there is a lie that follows it we are also sure of. That a soldier goes to war and experiences the horrors of Dunkirk we are also sure of. But then the writer of this novel reveals herself - for it is not written by McEwan at all - and we go back and question everything we have read, for it is nearly impossible to tell where the story begins and the facts end. McEwan's ability to drive a story forward while simply retelling the same plot points over and over again is uncanny; his ability to set forth the most beautiful descriptions of an English country home and the intricacies of a battlefield is shocking; his ability to make us question everything he has put to the paper is outstanding. This is a sweeping work that goes beyond the interactions of human experience to ask: What is the impact of our perception on reality, and which matters more? 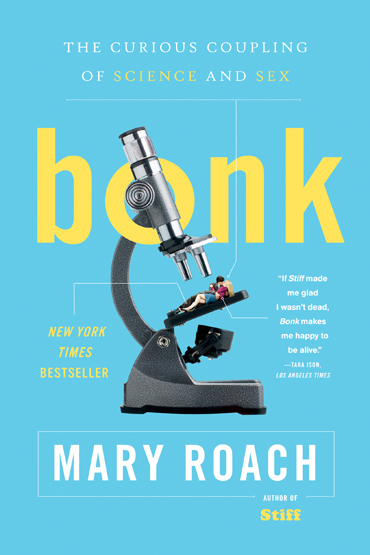 Libba Bray's book is a young-adult title focusing on a teenager adjusting to life in a modern-day Texan high school - and adjusting poorly, to say the least. He is withdrawn, a stoner, a loner, and altogether makes himself miserable. This is only further compounded by the fact that he is diagnosed with a fatal illness, and is only noticed by his peers when it is announced that he has only weeks to live. From here, though, things get weird: a punk angel/possible hallucination shows up in the hospital room and gives him not-so-detailed instructions on the way to simultaneously save the world and find a cure for his disease. With his trusty sidekick, hypochondriac and little person Gonzo, he flees the hospital and travels across the country to New Orleans, the YA! (equivalent of MTV) Spring Break house party, and through time itself. He enlists the help of a cult a one point, is guardian angel at others, a mad scientist here, a jazz musician, and even a talking garden gnome. Or does he? Or rather, does it matter if he does or does not, as long as he thinks he does? 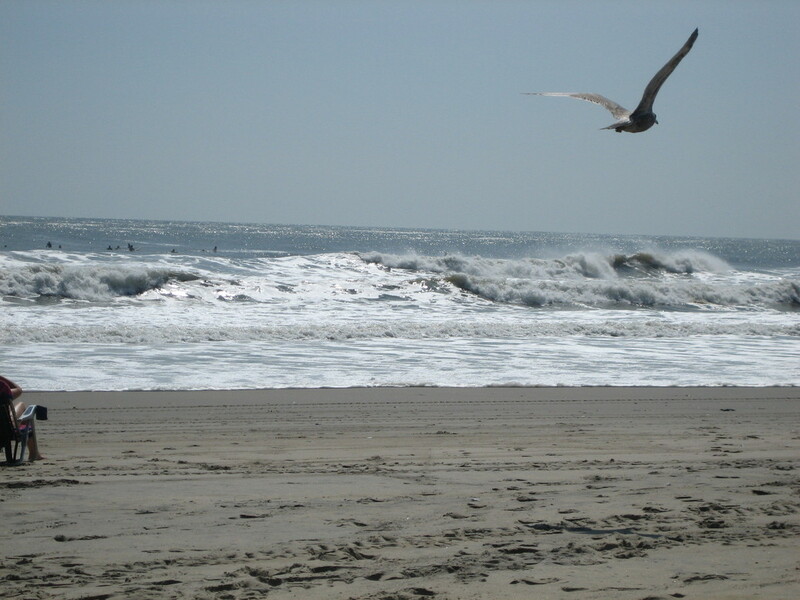 What is life, after all, but a series of remembered experiences? Bray's novel will touch anyone who ever went to high school in a way we'd like to pretend it can't, groping with the difficult questions of popularity, sexuality, drugs, family life and, the be-all end-all of a teen's existence, mere acceptance. Her story will literally have you laughing out loud and then bring tears to your eyes in a matter of pages, but along the way, it will never fail to impress upon its readers that life is what we make of it. It was book destiny that this galley landed in my collection at BEA, and it couldn't have landed at a better time. I cannot emphasize enough how much I enjoyed it. An absolute must-read. When I lived in France, I devoured Robert Jordan's Wheel of Time Series like there was nothing else in the world to do. All 11 of them in 6 months - the joys of a studio apartment with no television, and lots of daily train rides in and out of Paris. I put away the fantasy genre after that, with the exception of Fables and a few other graphic novels. But a few months ago, while still on blog hiatus, Jay Franco (yes, same one that recommended Fables) recommended the George R. R. Martin Song of Ice and Fire Series. First of all, follow that link. Martin looks exactly like you would expect a fantasy writer to look. Exactly. Now on to the books themselves. I found it refreshing to get back into the world of fantasy (and it gave me some street cred at the gaming shows I've been going to for work recently). Martin has a keen sense of detail, which is sometimes to his detriment - he can get so bogged down in details and character development that the story sometimes seems to hover frustratingly in mid-thought. That being said, the details of this world he has created, and the intense, focused characters that he develops skillfully and fully, become crucial to the story when it does finally launch itself forward, and so most readers are able to forgive what seems like confusion in the first book. *Mild Spoiler Alert* One of my biggest complaints with Jordan is that he doesn't ever kill his characters. All, inevitably, find themselves in some kind of dangerous, sticky situation, and, not surprisingly, pull through with only mild damages to self or mind. True, after a while these damages can pile up, but as of Book 11, no one has actually died. Martin is quite the opposite, sometimes too much so. While it is refreshing to have an author that keeps his readers on his toes, he has almost killed so many characters that he has started to drive readers away - we have no allegiance to any characters remaining because it is too hard to watch (or read) them die. Alas, I am still searching for the author that can find the perfect balance between these two. Martin's series has been optioned for a series on HBO for which I have high hopes. You can see casting and developments here. Interesting afterthought -- on his website, George Martin cites Osprey books as one of his best sources for military research, which he uses to develop his worlds when writing. Go Osprey!